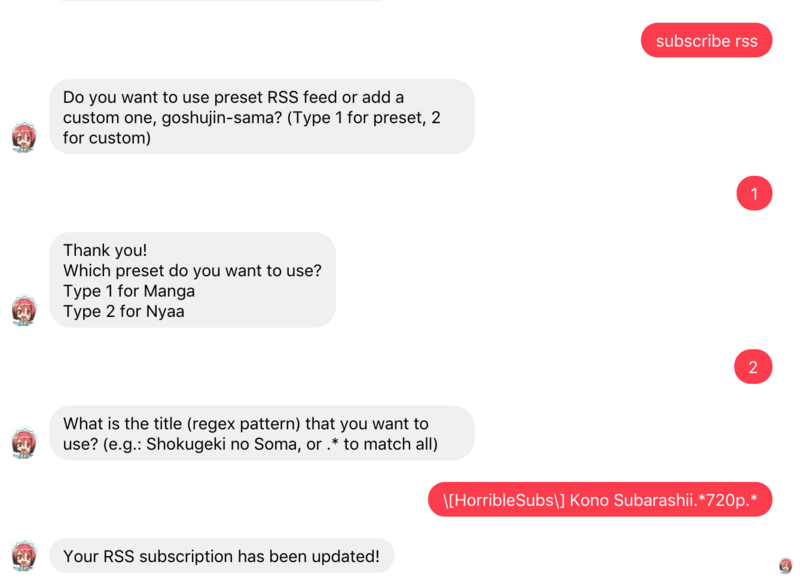 In addition, user can also use its own custom RSS Feed source. 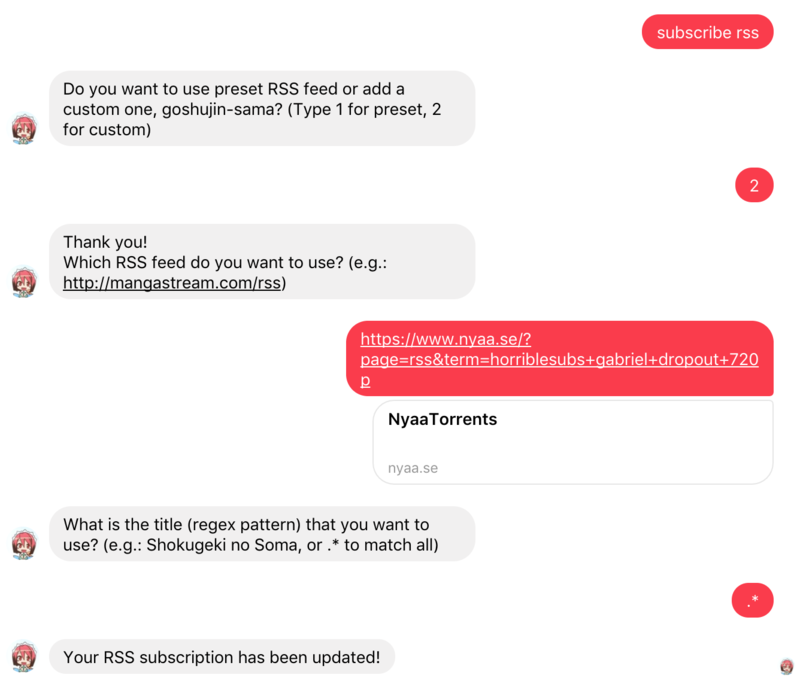 When the user subscribes using custom RSS, Maid-chan validates whether given URL has a valid RSS format via feedparser library. Maid-chan uses regex comparison from user’s input to the title of feed entries. Maid-chan stores list of all matched titles from the RSS Feed. If there is a new title which is not stored in the database, Maid-chan will send out a notification to the user that a new update is available. Initially, timestamp is used instead of list of titles. However, some sources (mangaupdates) don’t provide timestamp information. 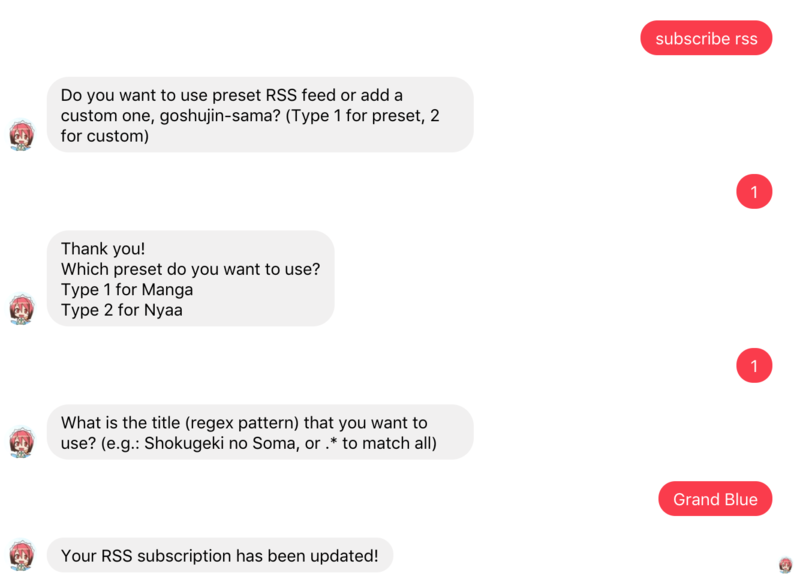 You can add & remove RSS to Maid-chan’s RSS Feed notifier via subscribe rss and unsubscribe rss command in the Messenger.